“How do I heat up my sake? ?” One of the most common questions out there! 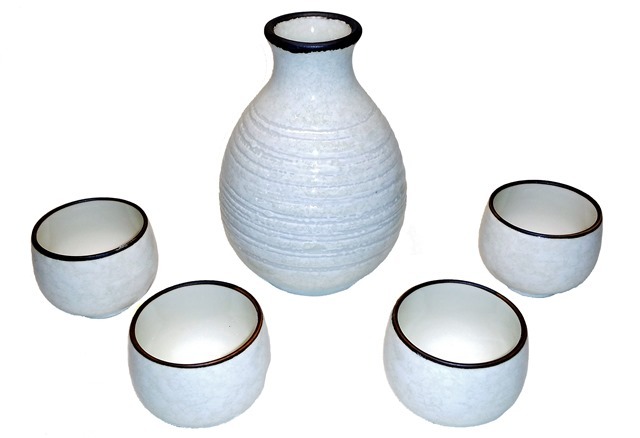 Simple, in one of these: a beautiful glazed stoneware sake set. Made in Japan, this sake set consists of one stoneware tokkuri and four stoneware ochoko and comes packaged in a presentation box, just in case you fancy giving it as a gift.